Before doing investments using CPF monies, it is important to know how much interest CPF Board is giving you for the monies you have in the CPF account. 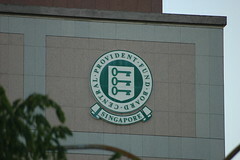 Take note that a CPF member is not allowed to invest the first $20,000 in either the Ordinary or Special Account under the CPF Investment Scheme. Remember that CPF money is still your hard earned money, be mindful of how it is spent. Sometimes it is better leaving it with the CPF board and earning interest rather than taking it out to invest. You have to decide for yourself. Special & Medisave Accounts: 4.00% p.a.